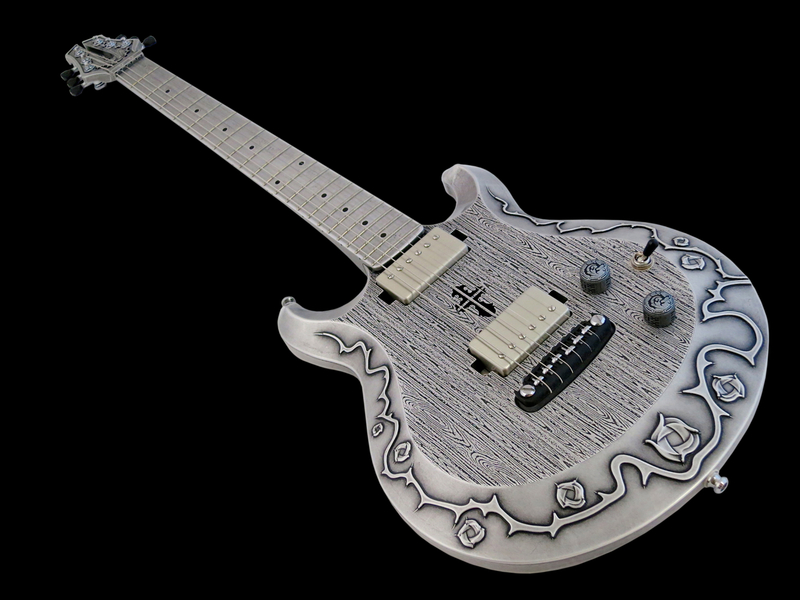 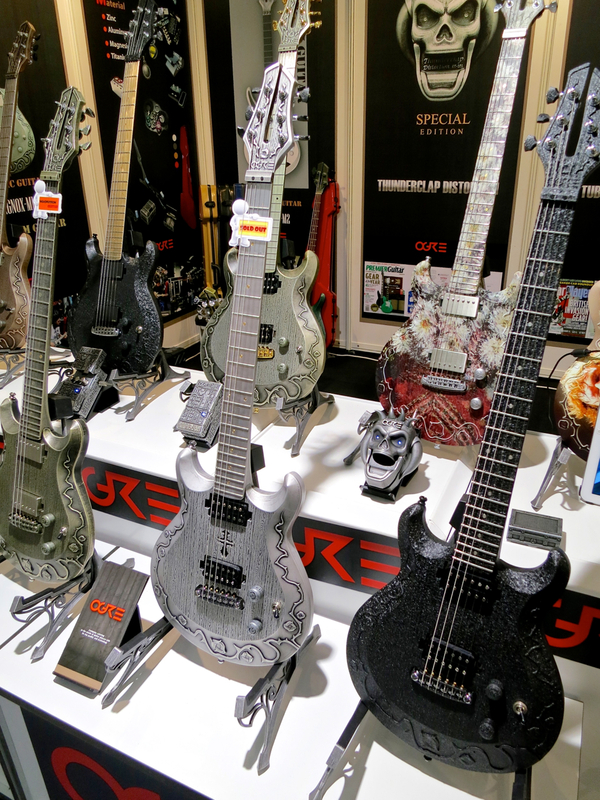 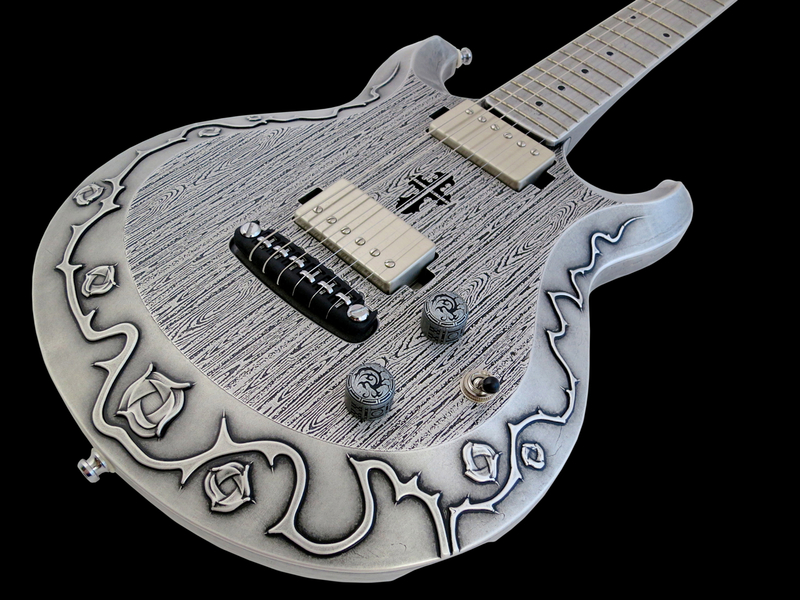 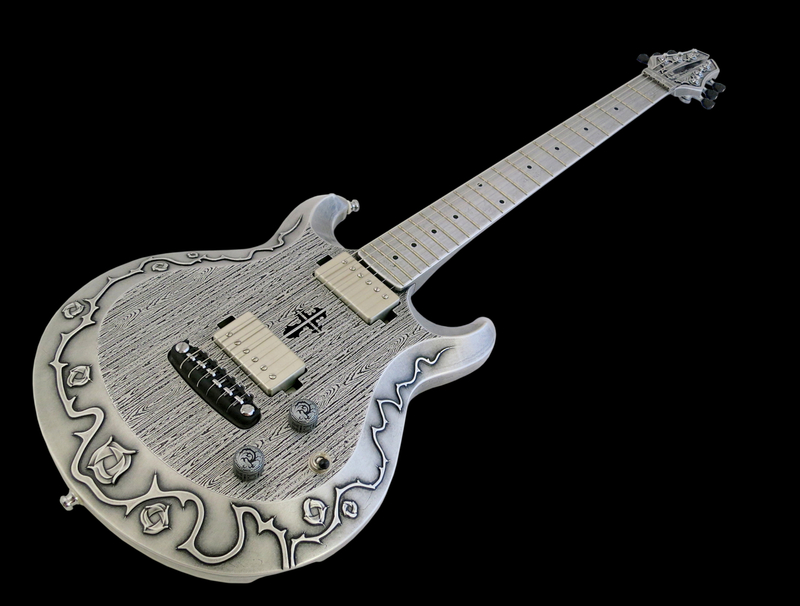 A company called Ogre displayed a variety of very goth effect pedals, but the real show-stopper was a medieval-looking electric guitar made completely out of magnesium alloy, called the Magnox-M1. 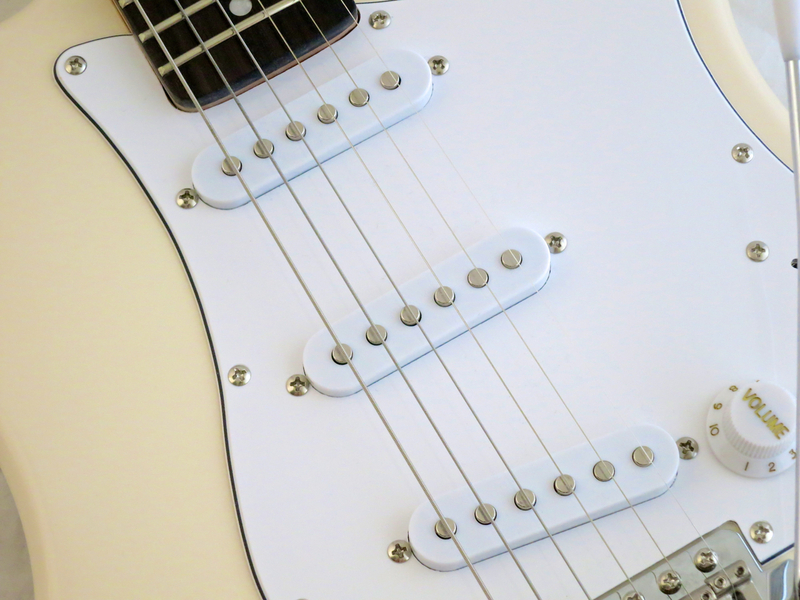 Thanks to Finnish distributor R-Jam Group we were able to take a closer look at this intriguing new concept. 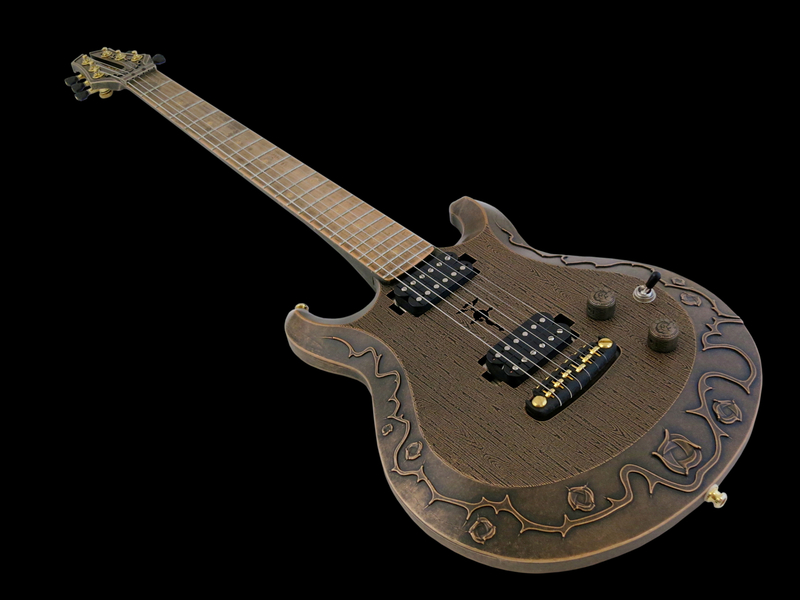 The all-metal Ogre Magnox-M1 (current price in Finland: 1,399 €) truly is a sight to behold. 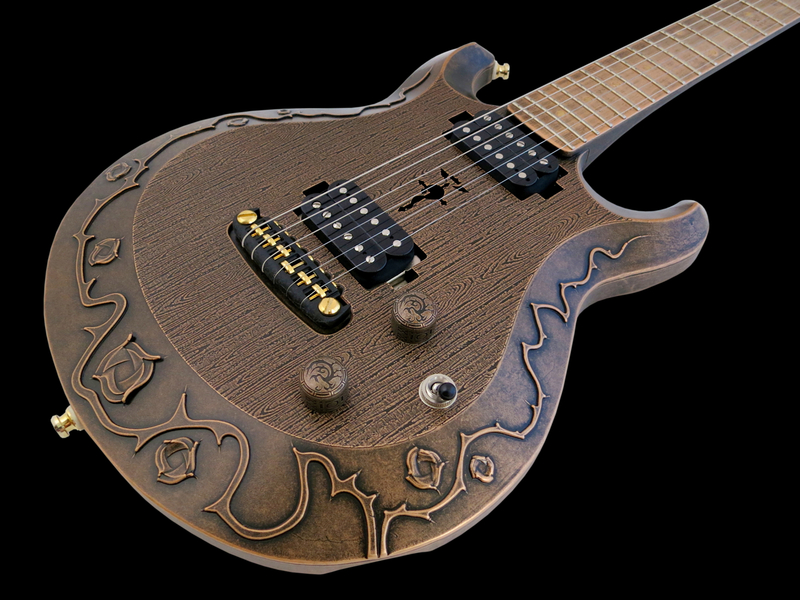 It isn’t often you get to see an instrument that looks like old metal, and which features beautiful rose-and-thorns reliefs on its body. 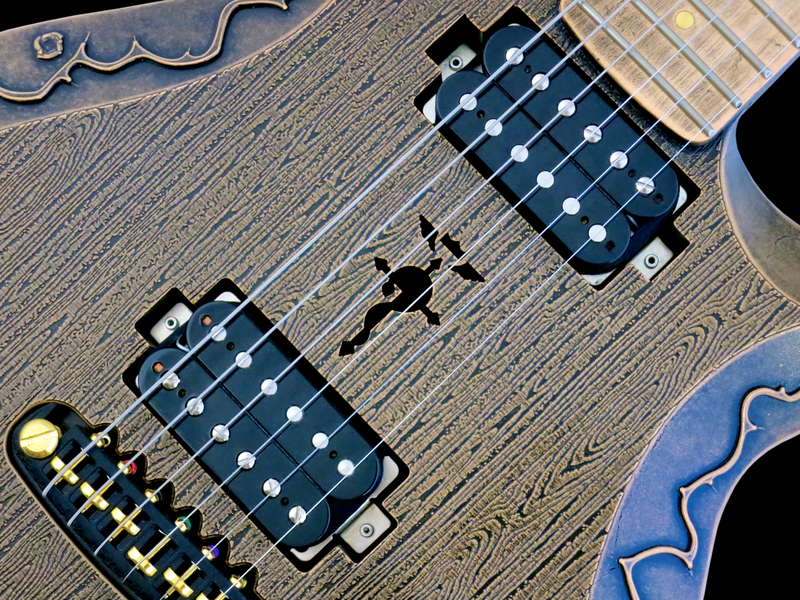 The twin-cutaway Ogre Magnox-M1 has a scale of 25.5 inches (64.8 cm), and its thin body is partly hollow. 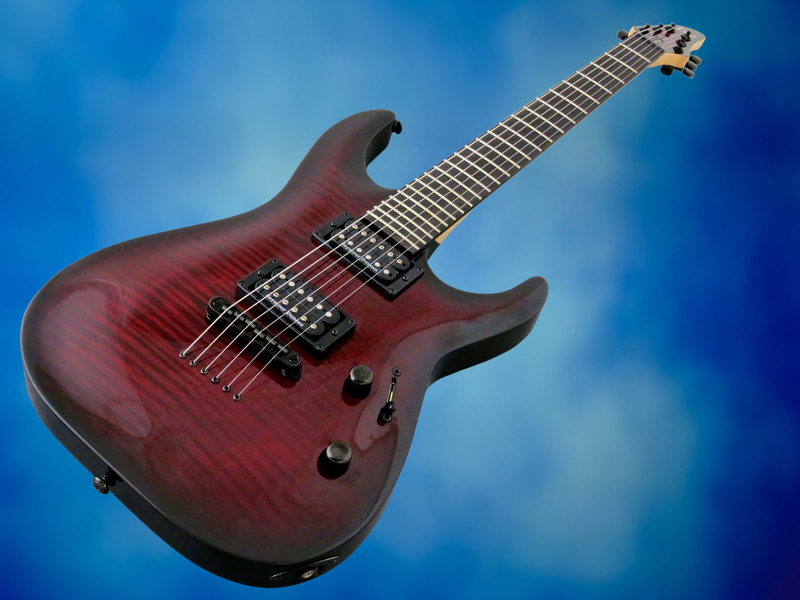 Our two review instruments both come with a pair of humbuckers, but there’s also an HSS-loaded Magnox-M1 available. 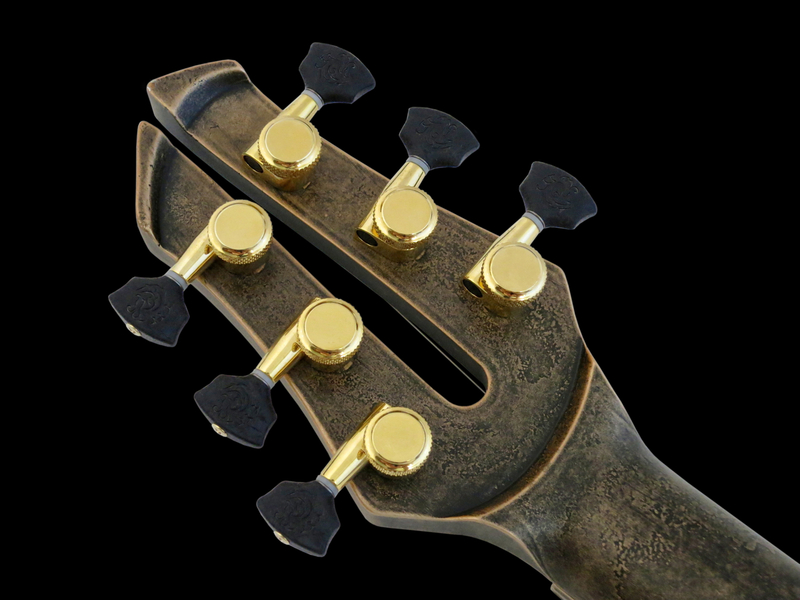 The back of the body sports a deep ribcage bevel. 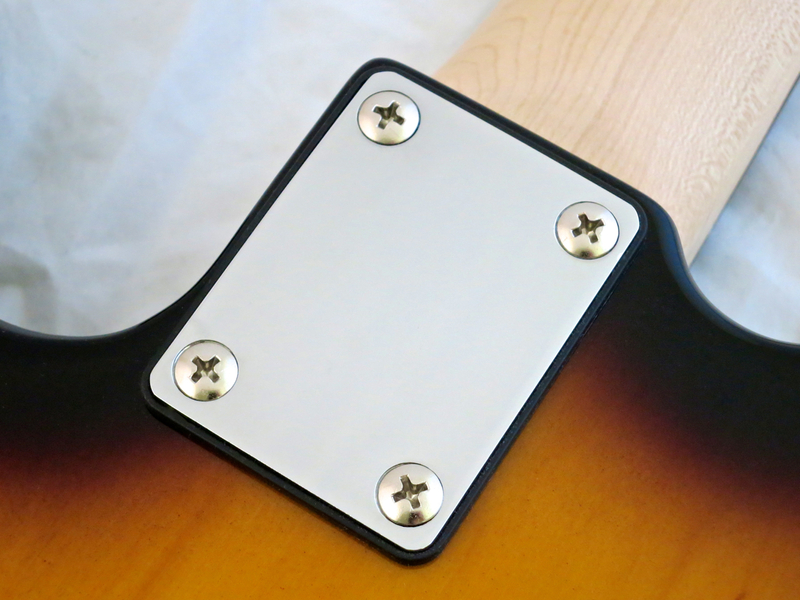 The output jack sits in its own recess. 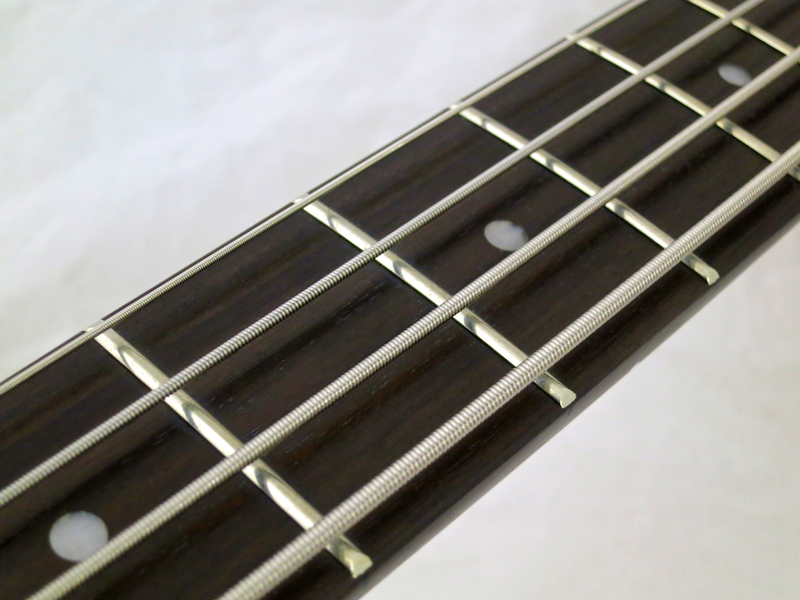 The top nut is also made from magnesium alloy. 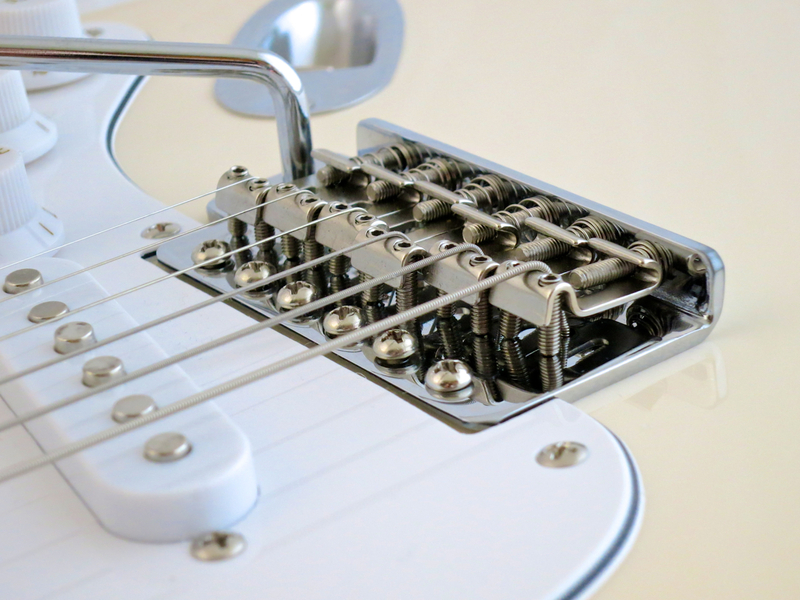 Even though it looks a bit like a locking nut, the strings aren’t locked. 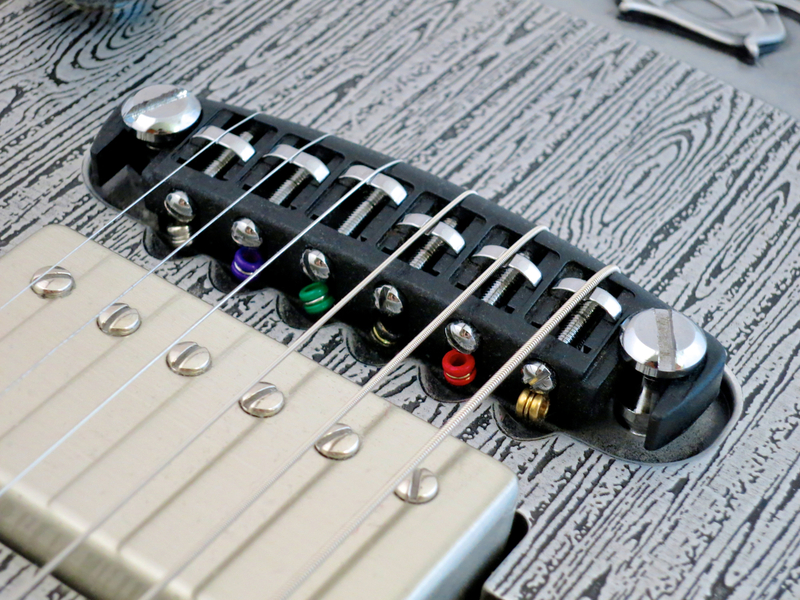 Ogre go for top-drawer quality in the tuner department by using Sperzel locking tuners equipped with Ogre’s own metal tuner buttons. 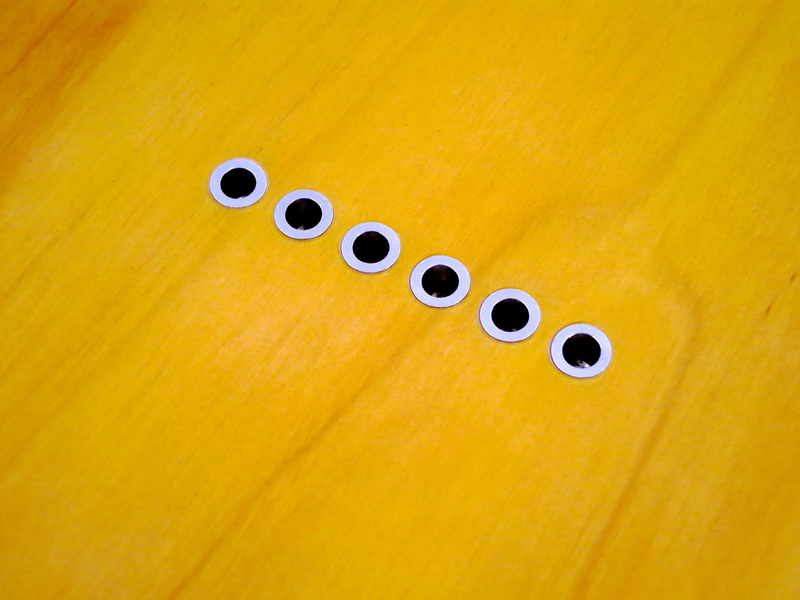 The pewter-coloured Magnox-M1 sports black dot markers. 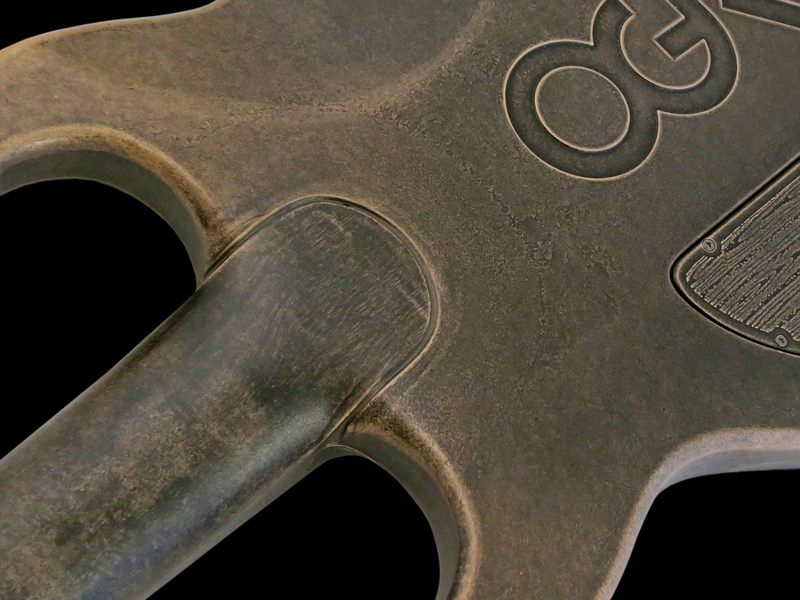 The position markers on the bronze-coloured Ogre are golden. 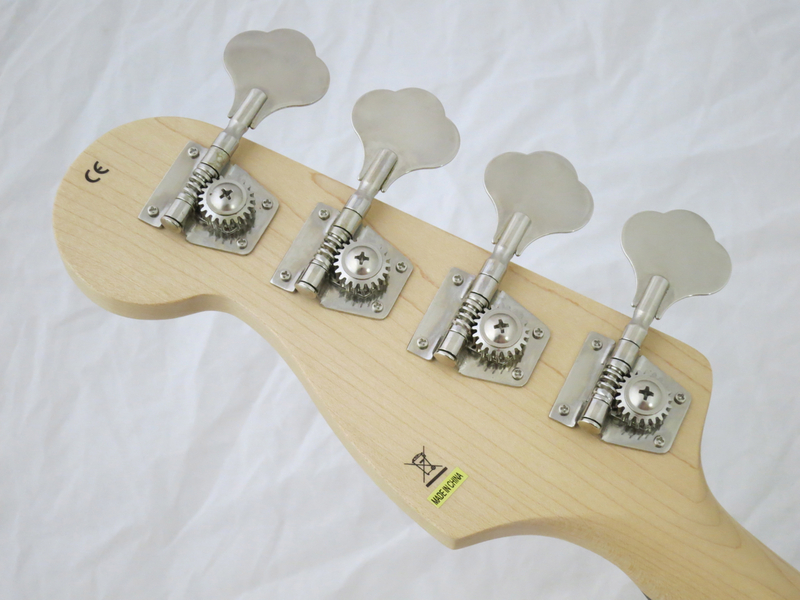 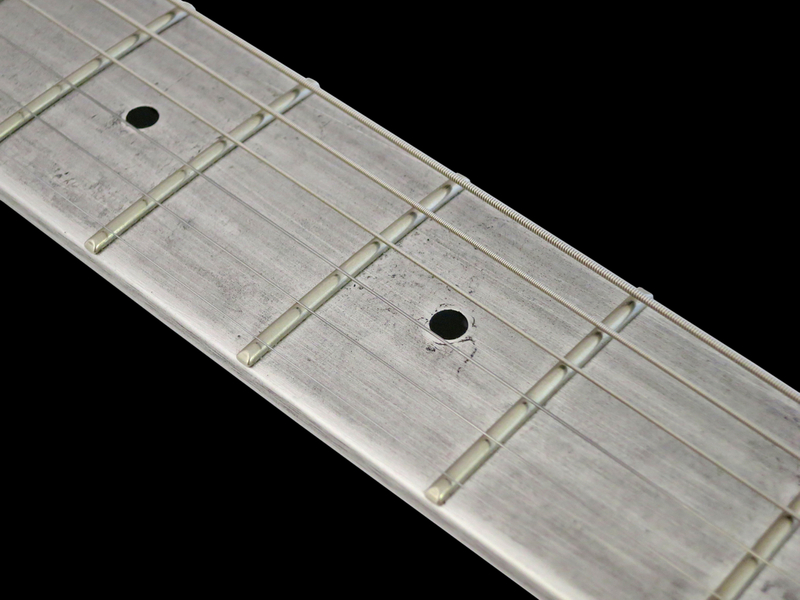 The Magnox comes with 22 medium jumbo frets. 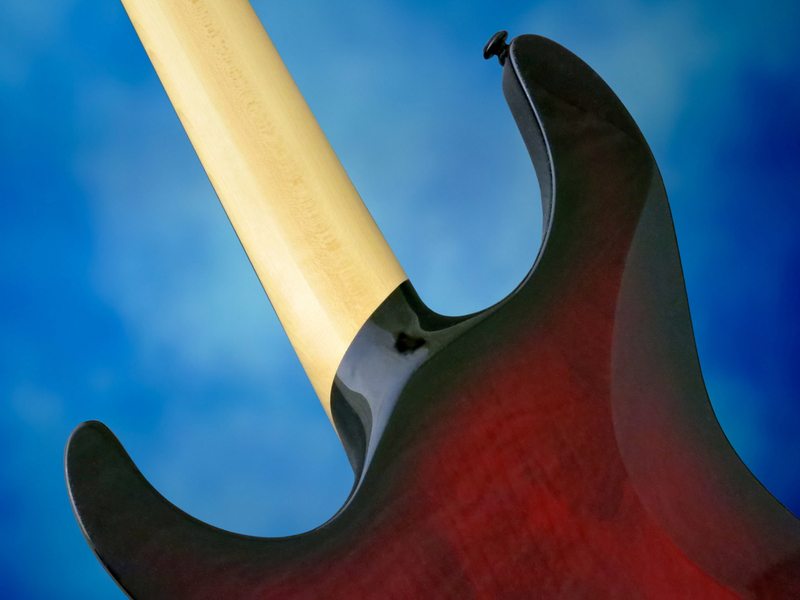 Ogre’s neck joint is very smooth, so you can widdle your way up to the dusty end with ease. 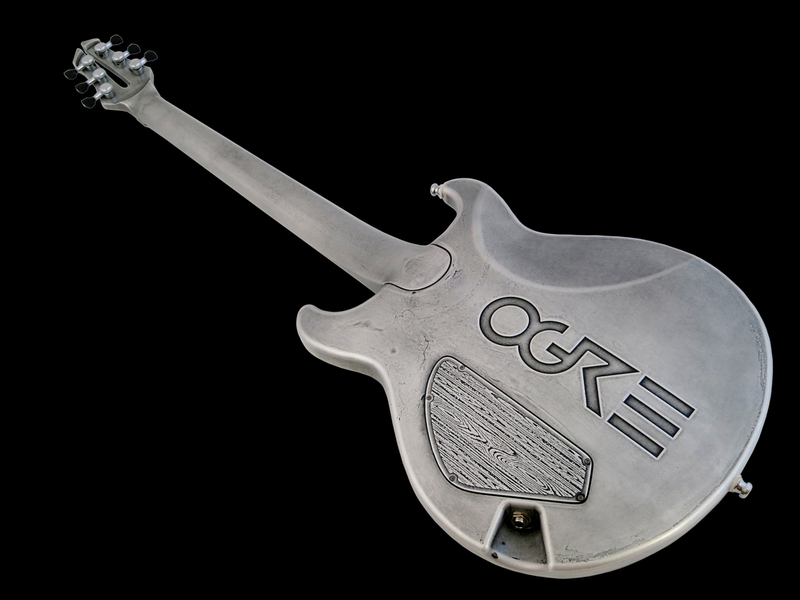 The wraparound bridge is Ogre’s own design, its base cast from the same metal alloy as the rest of the guitar. 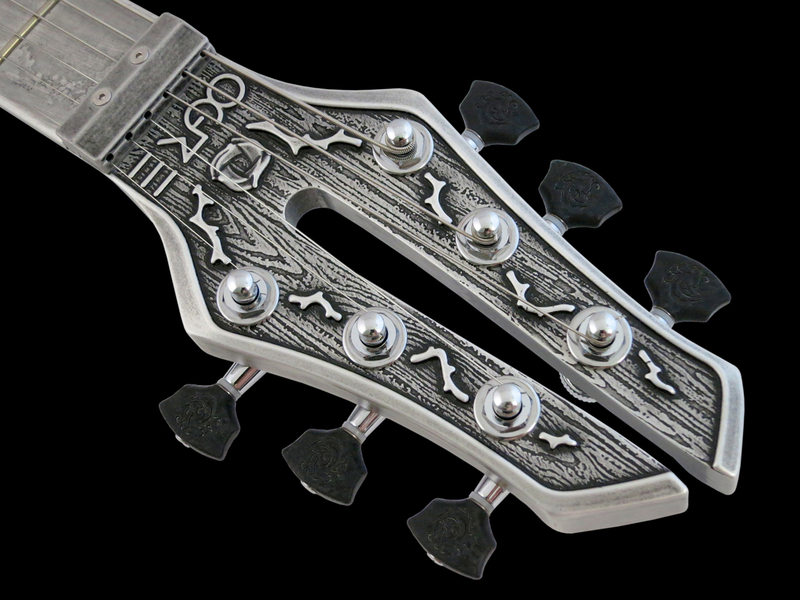 In our case, the pewter Ogre sports a pair of the company’s own PAF-style ’buckers. 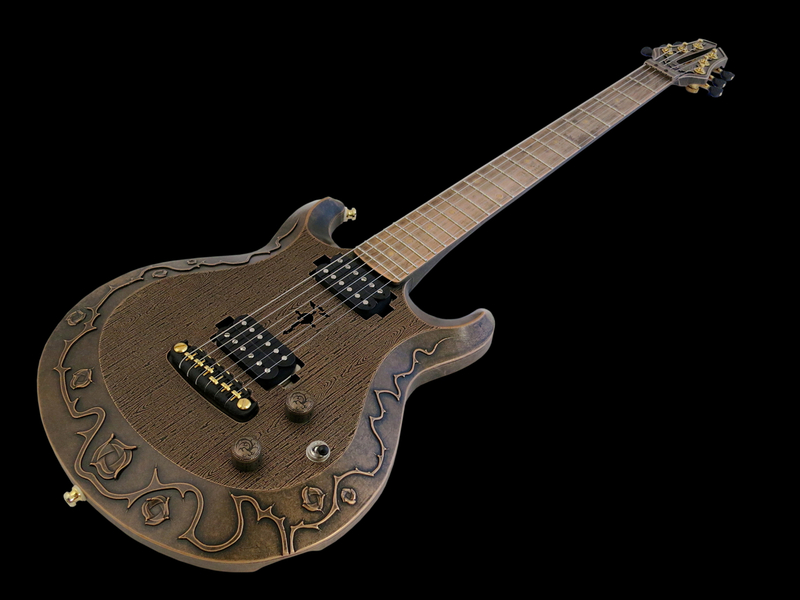 The bronze-coloured Magnox comes with a Seymour Duncan ’59 at the neck, and a JB model at the bridge. 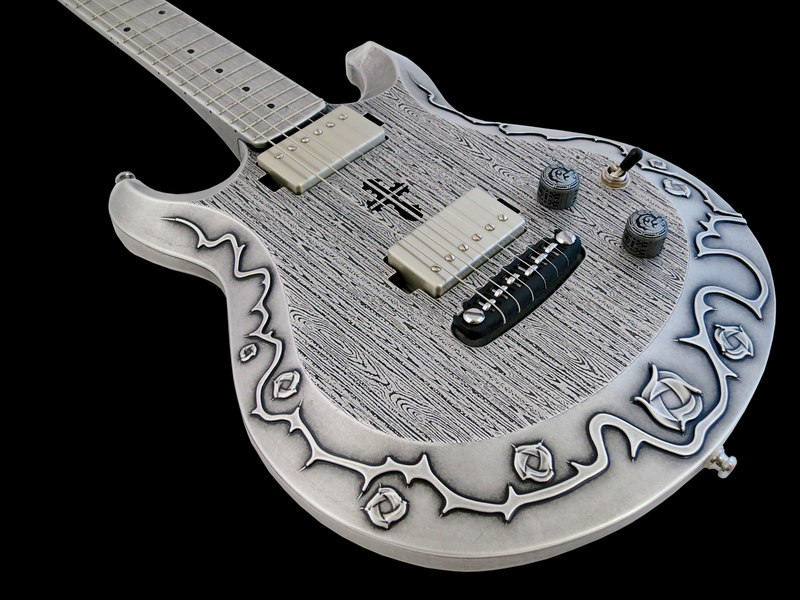 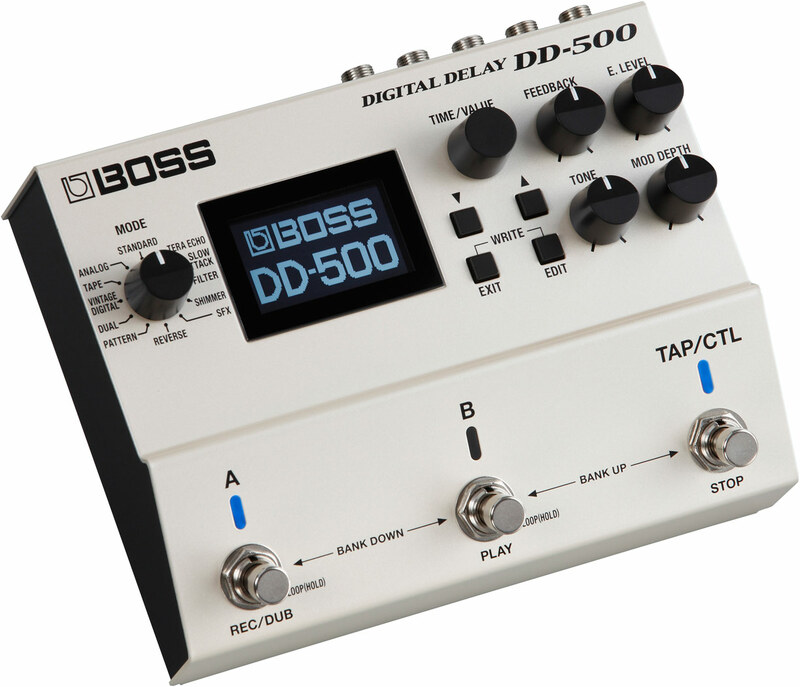 These Ogres are equipped with a three-way toggle switch, as well as master volume and tone controls. 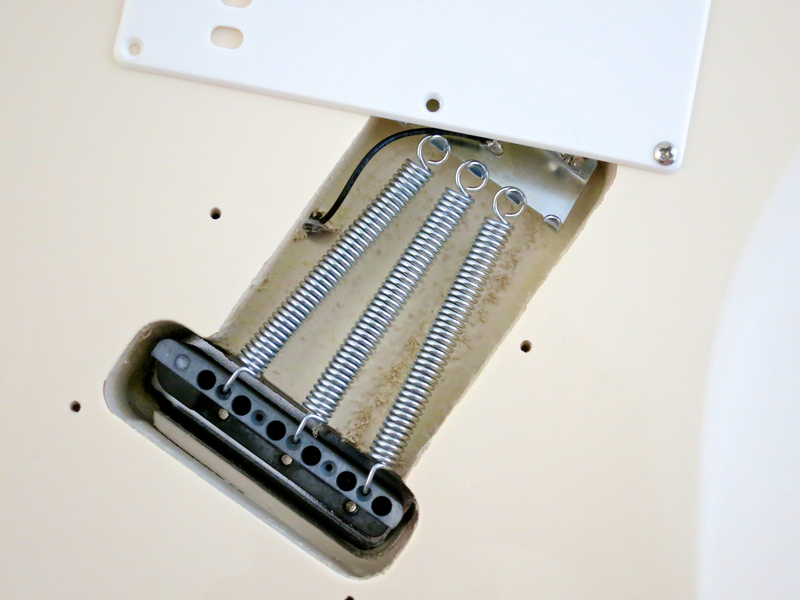 There’s a push/pull-switch hidden in the master tone control, which allows you to split the humbuckers for singlecoil tones. 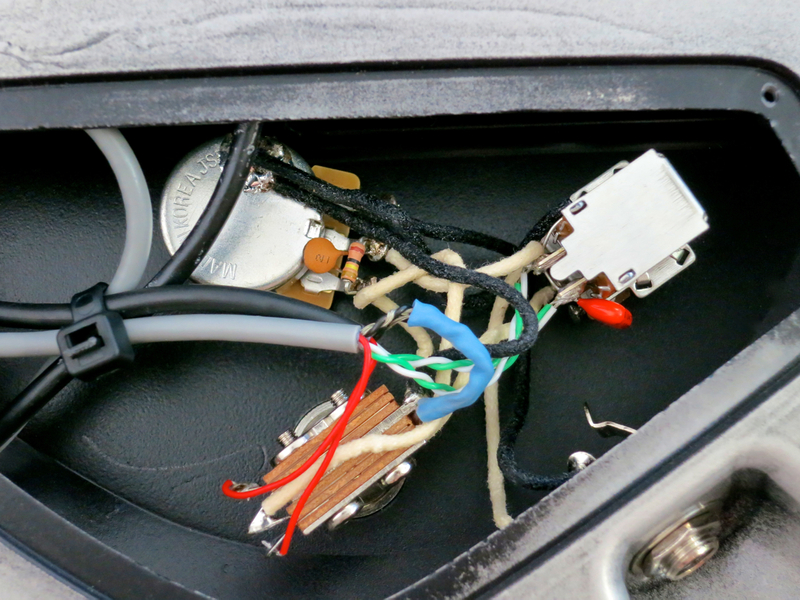 A close look under the hood reveals quality parts and clean workmanship. 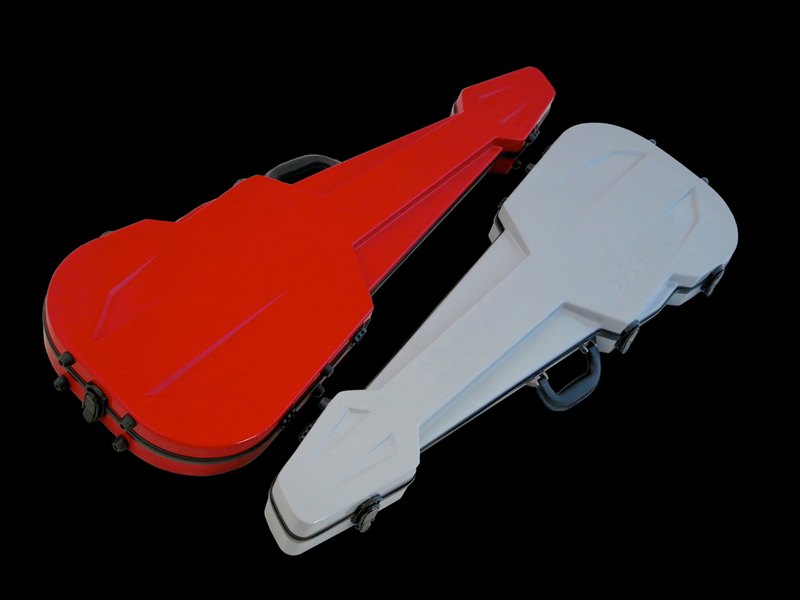 A fancy carbon fibre hard case is included in the price. 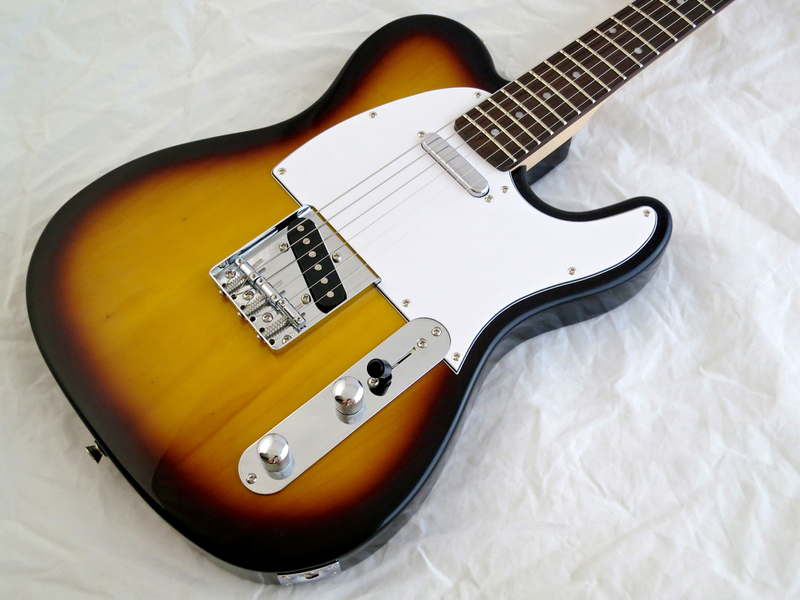 Thanks to its semi-hollow body the Ogre Magnox-M1 only weighs a very comfortable 3.8 kg. 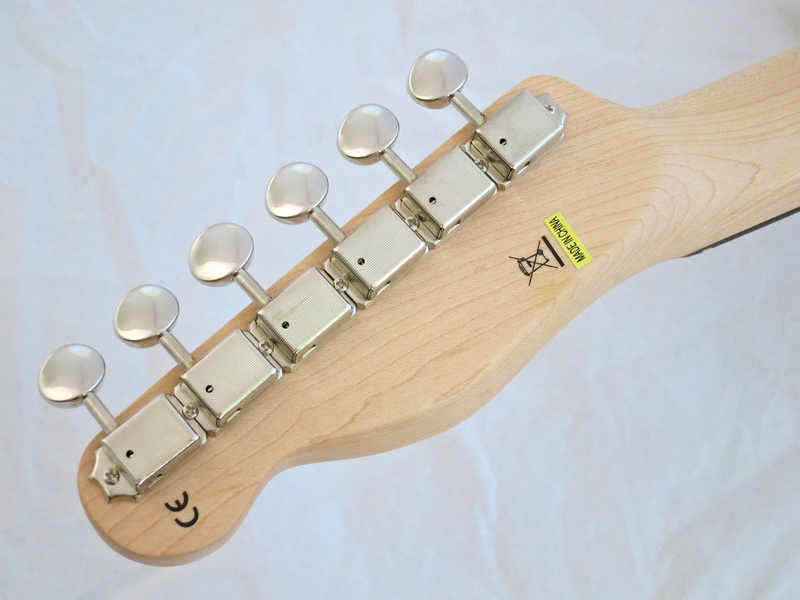 Despite the fact that the neck and fingerboard are not hollowed out, the M1 stays perfectly balanced . 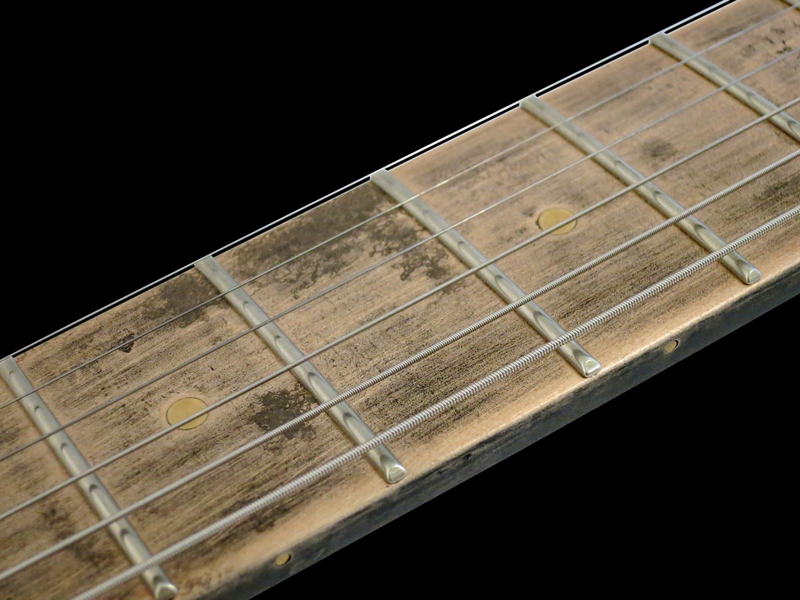 Both guitars look old, rusty, and oxidised, and some parts even look coarse and scratched, but this is all a very cool illusion conjured up by the excellent finishing job. 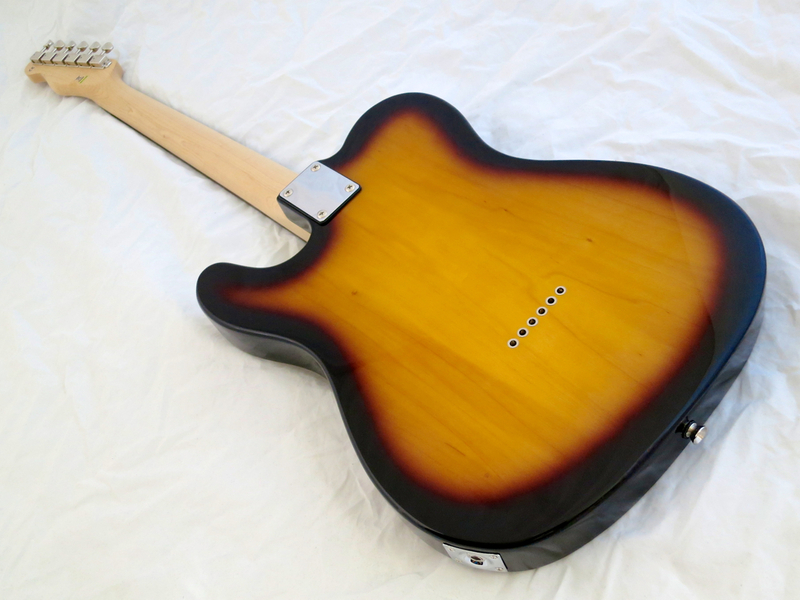 In reality the Magnox-M1 feels very smooth and friendly, even if it’s a tad cool when pulled out of its case. 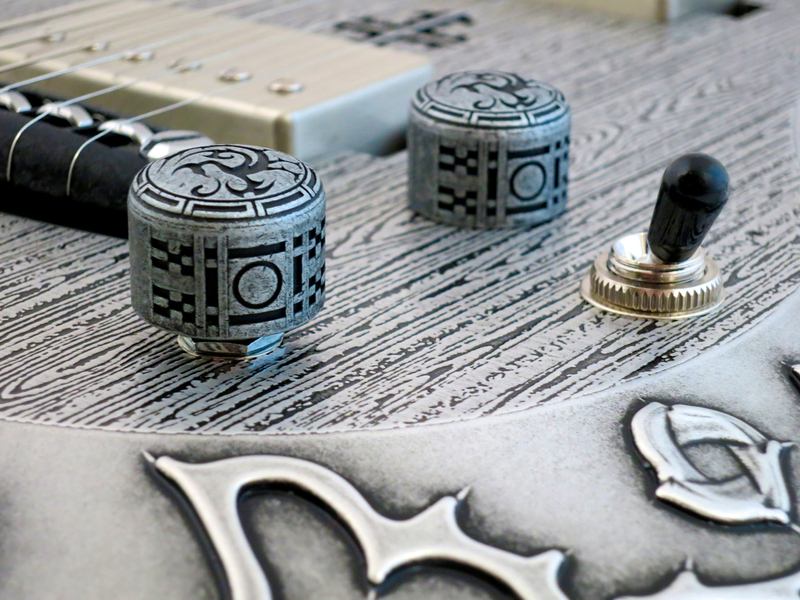 The only things that are real are the beautiful reliefs on the front and back of the body (as well as on the control cavity lid), all other dings and scratches are an optical effect. 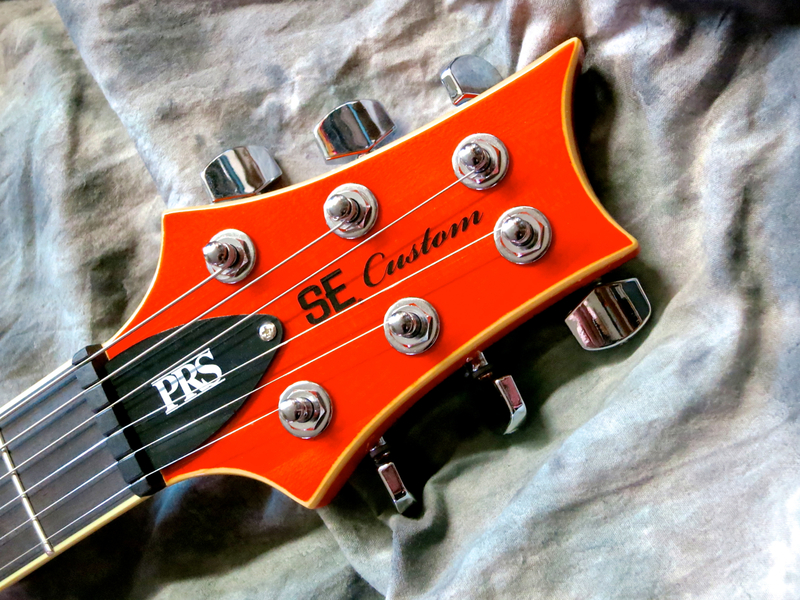 In my opinion Ogre’s not-too-chunky C-profiled neck feels really great. 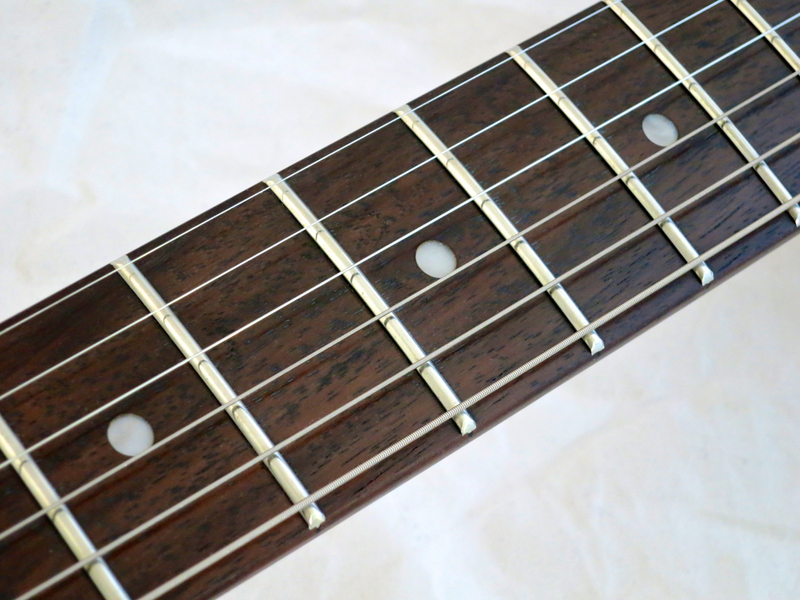 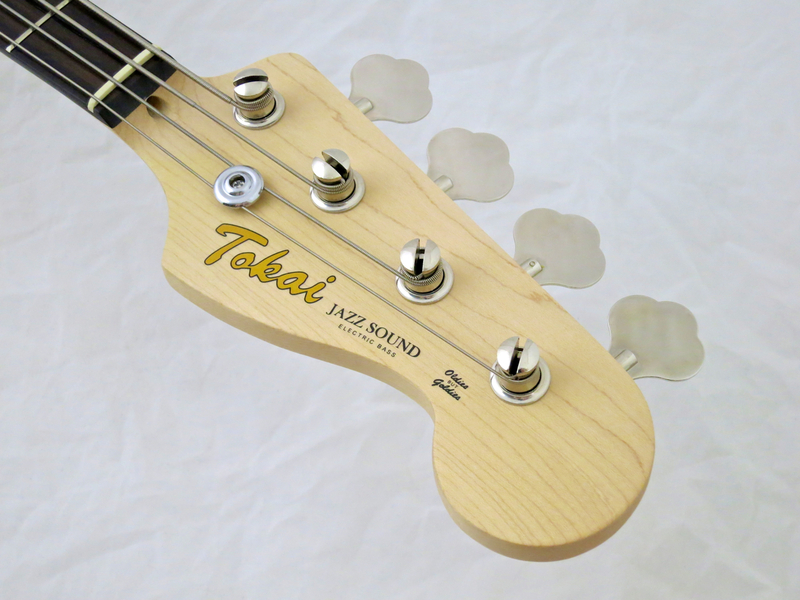 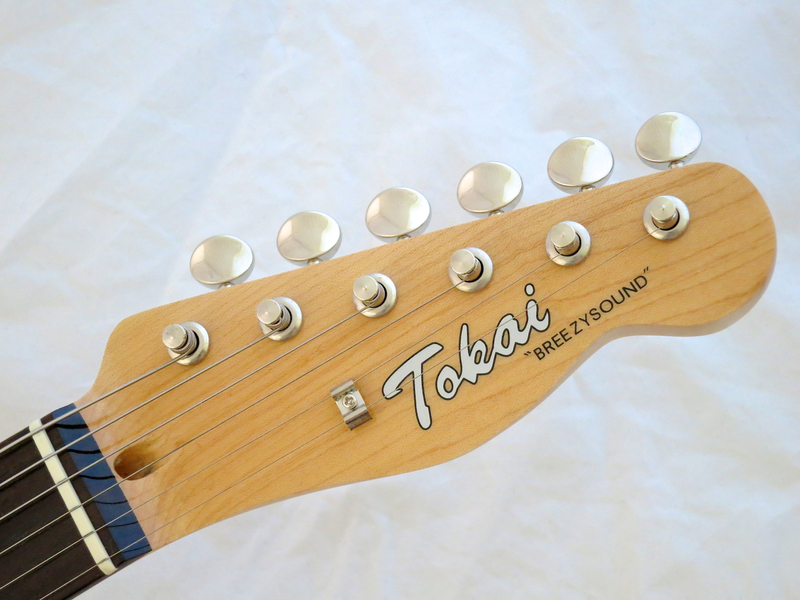 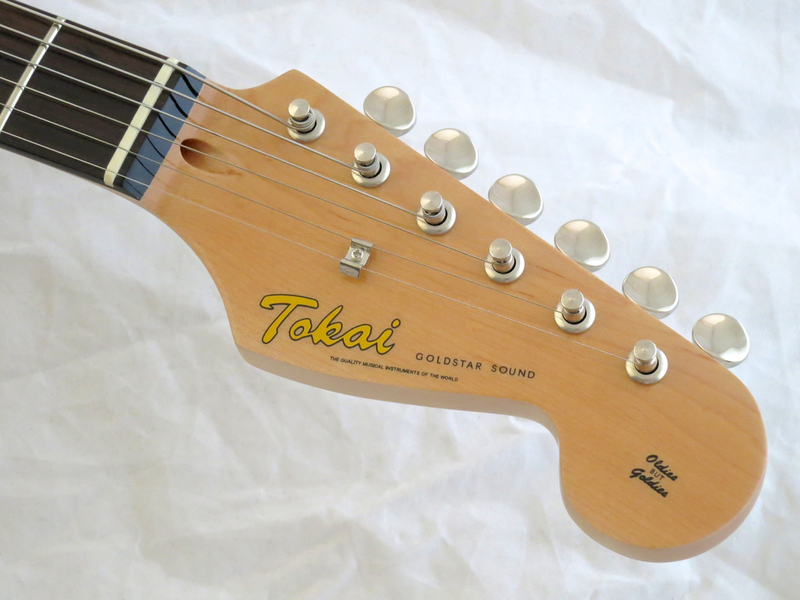 The fretwork is excellent, and the fretboard’s edges are comfortably smooth. 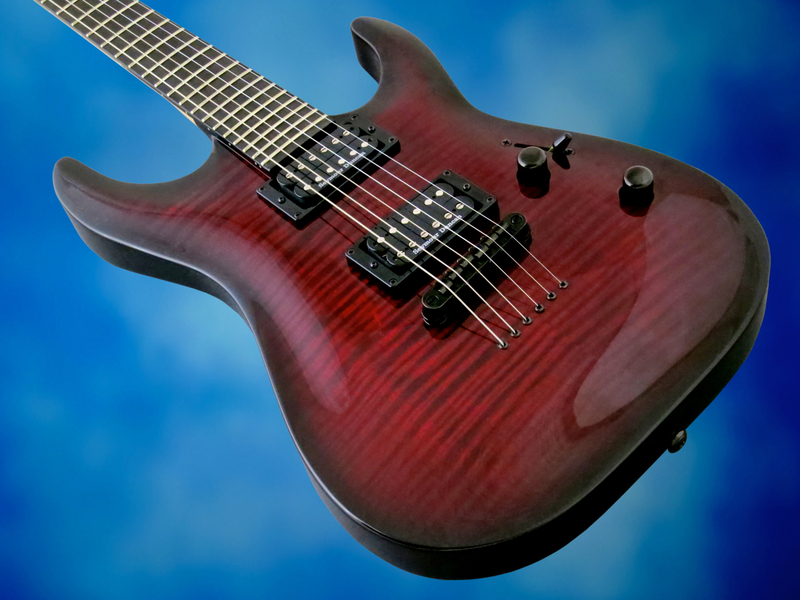 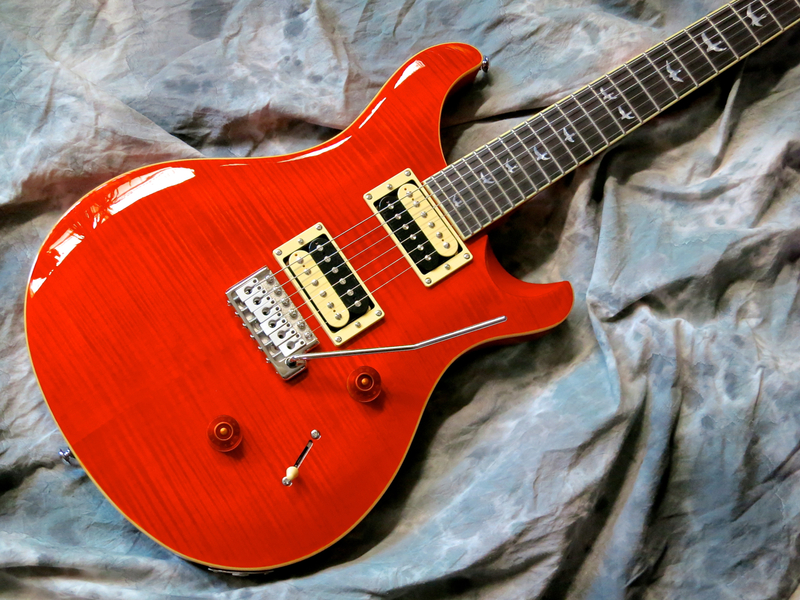 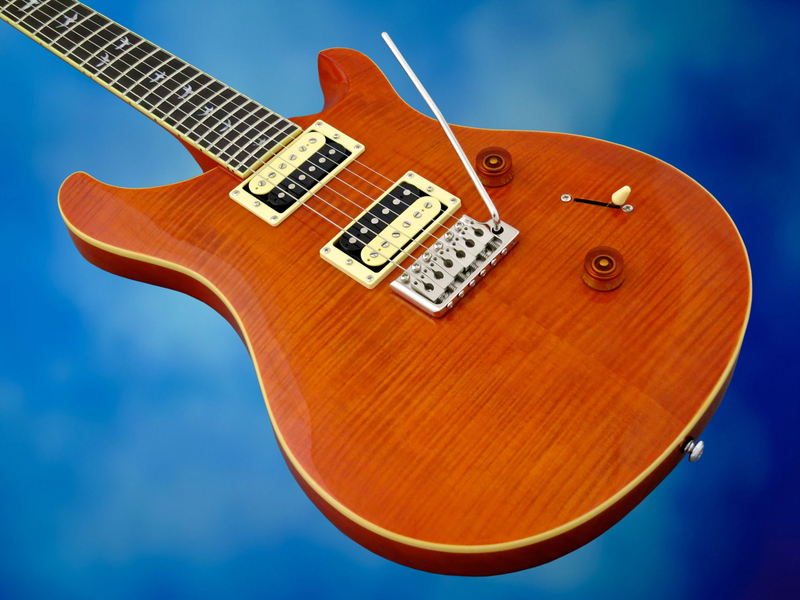 Ogre’s own PAF-style humbuckers have a very dynamic, crisp and open sound, thanks to their moderate output levels. 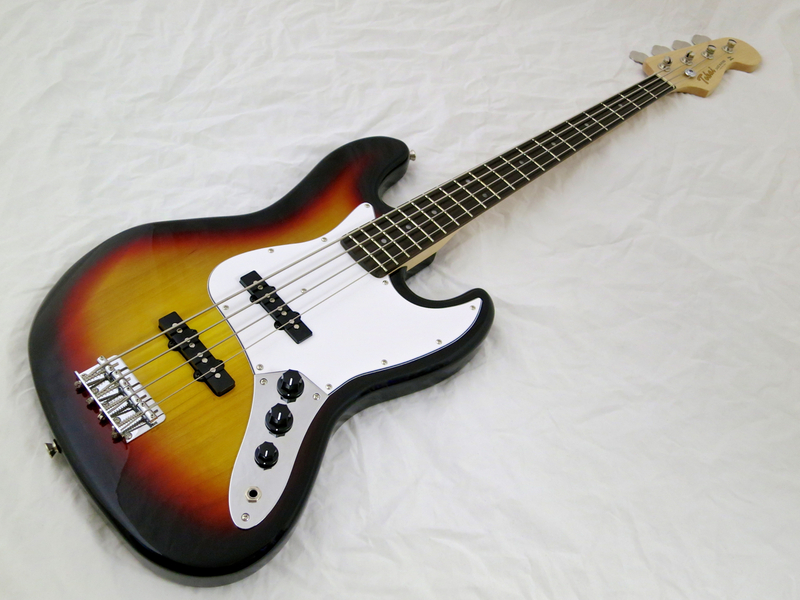 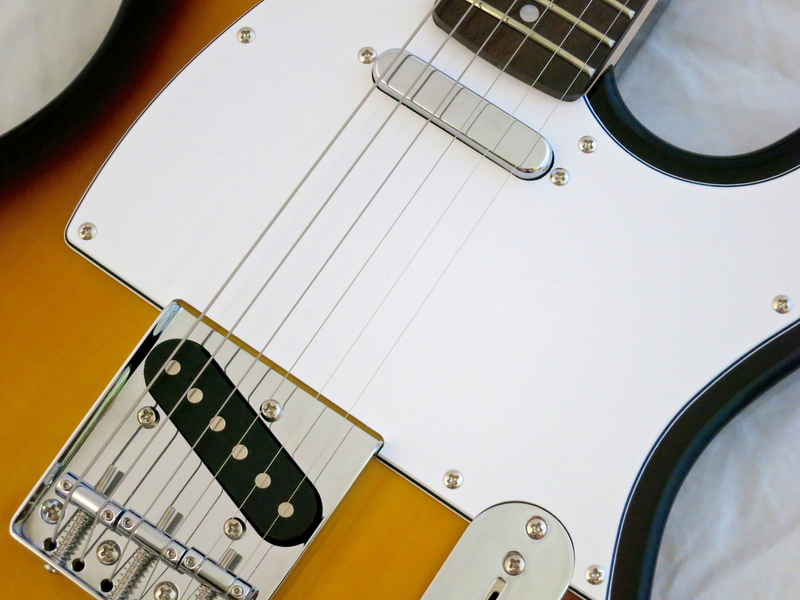 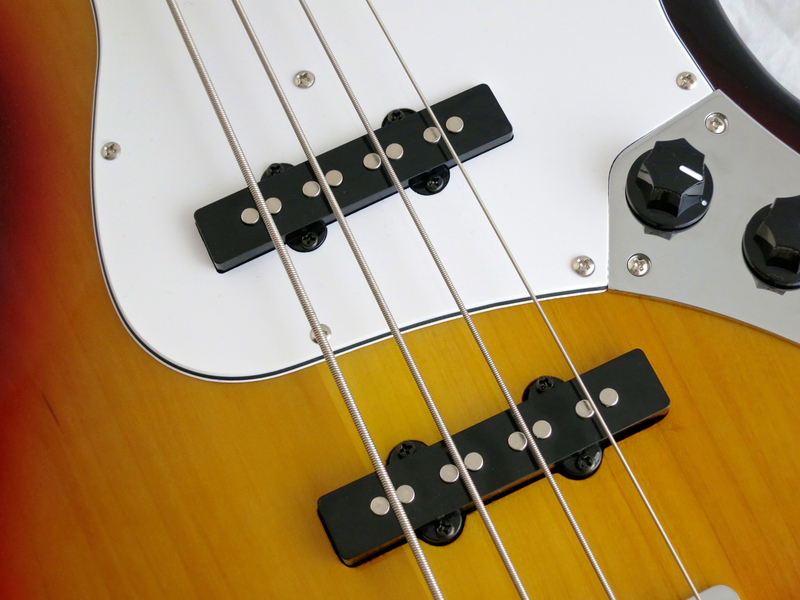 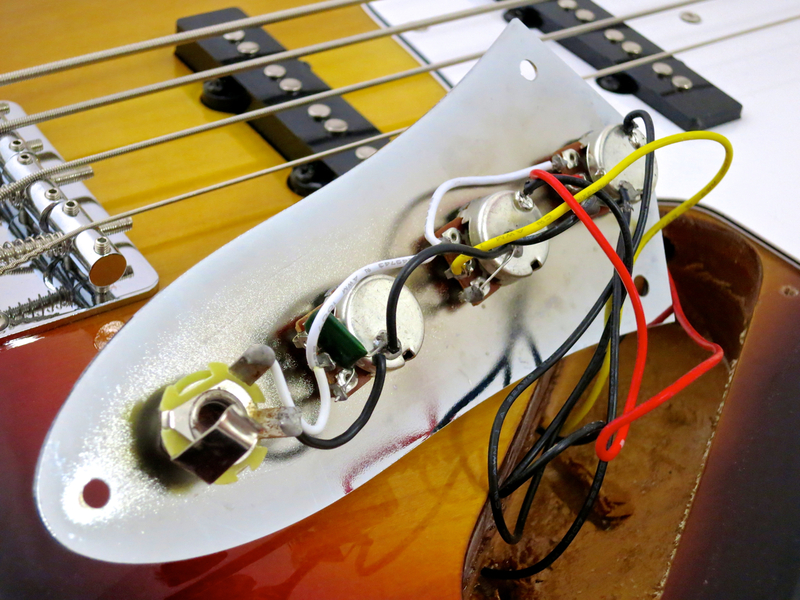 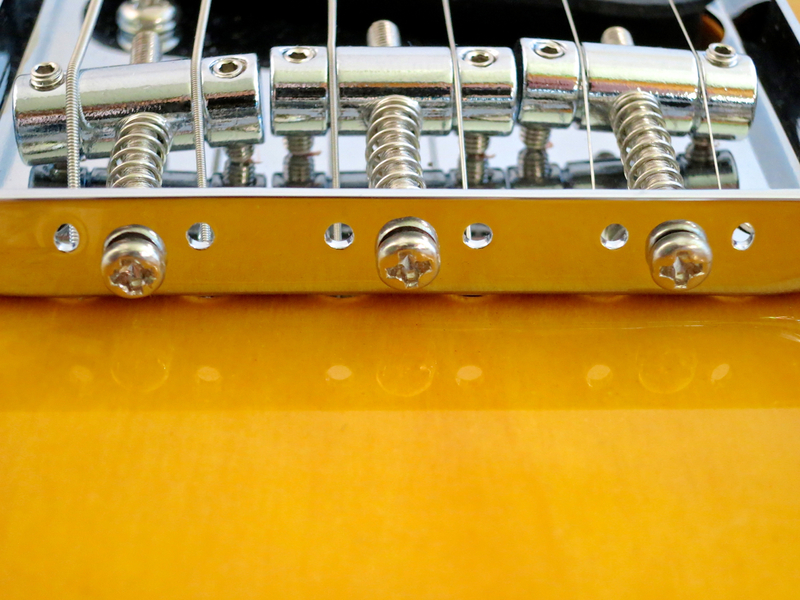 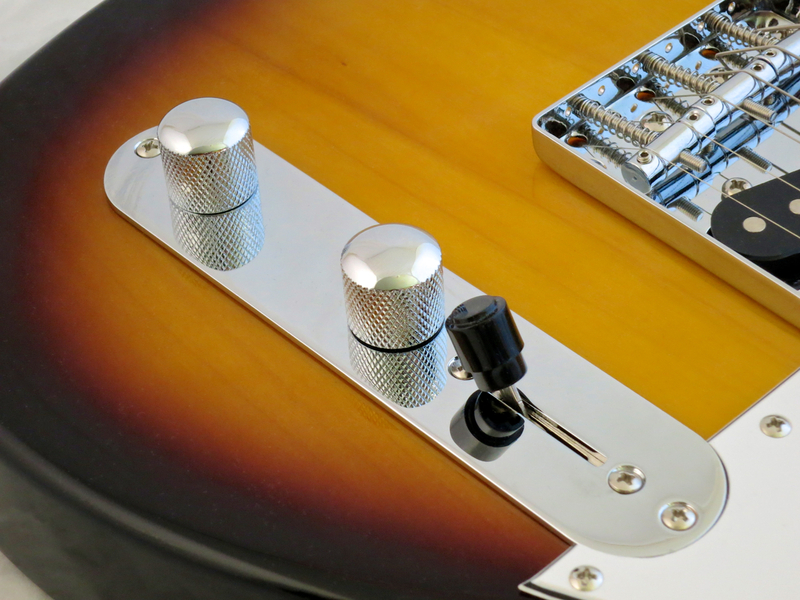 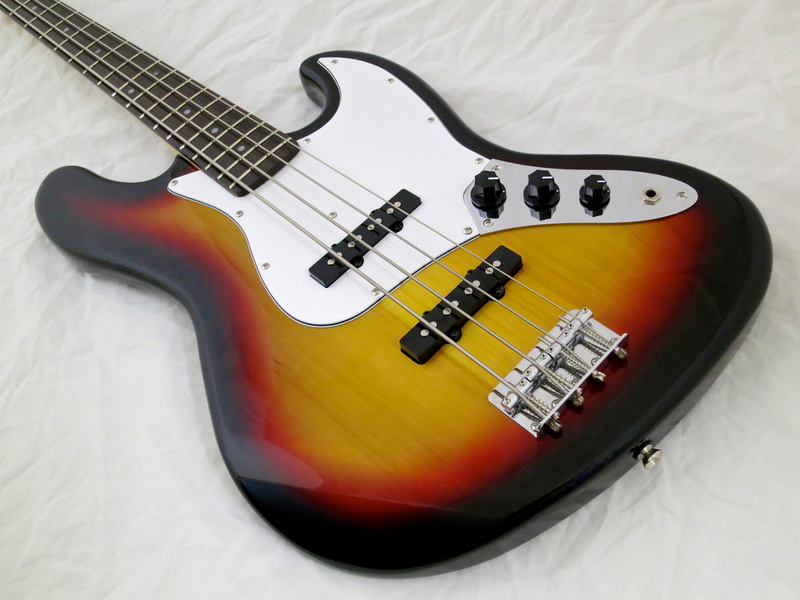 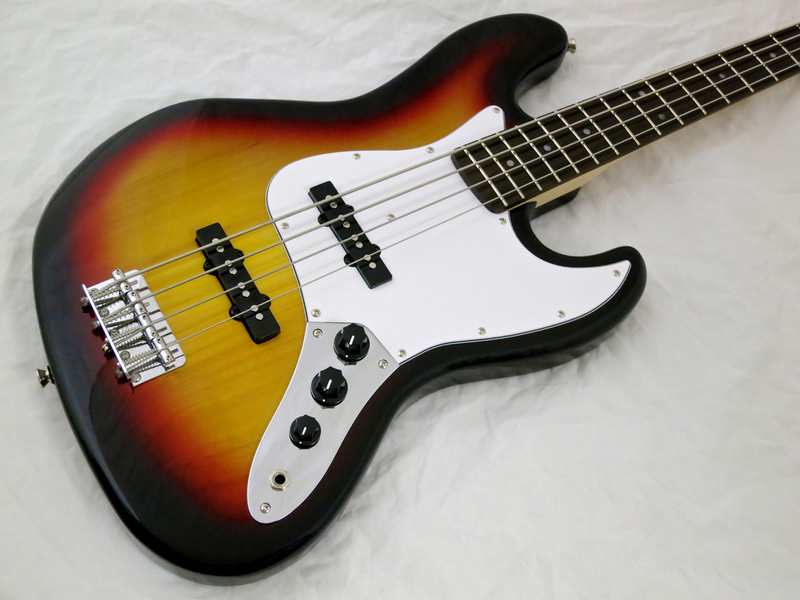 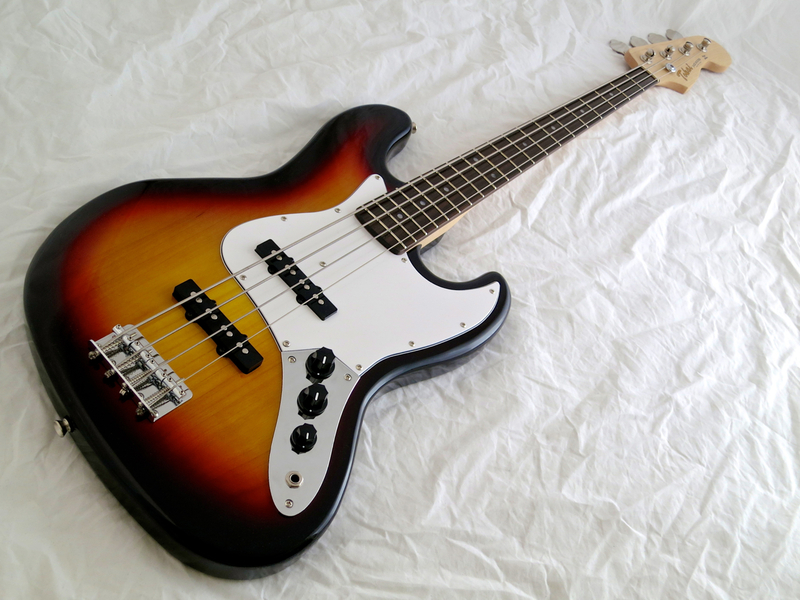 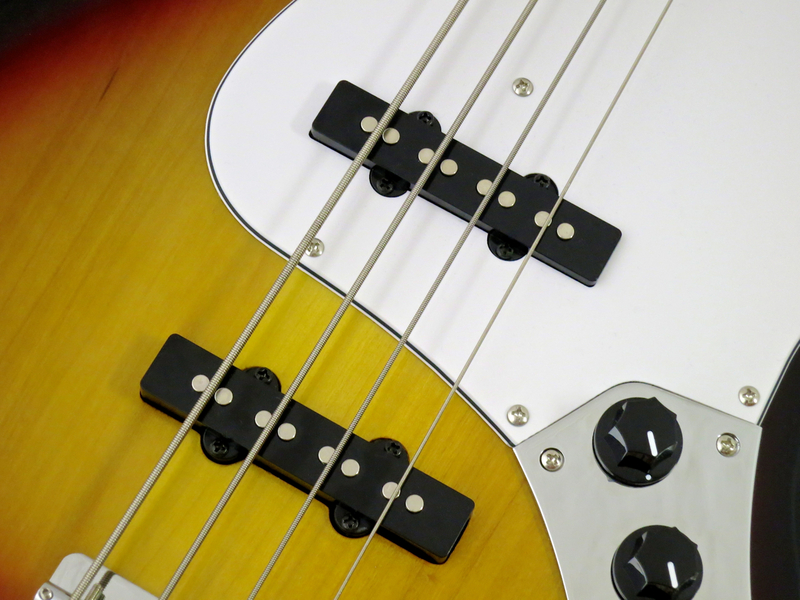 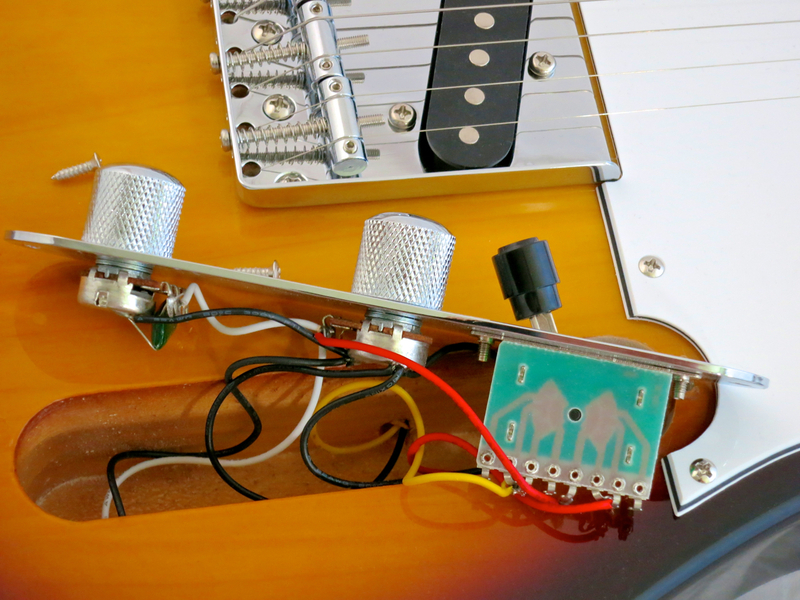 The split-coil settings sound remarkably Fender-like. 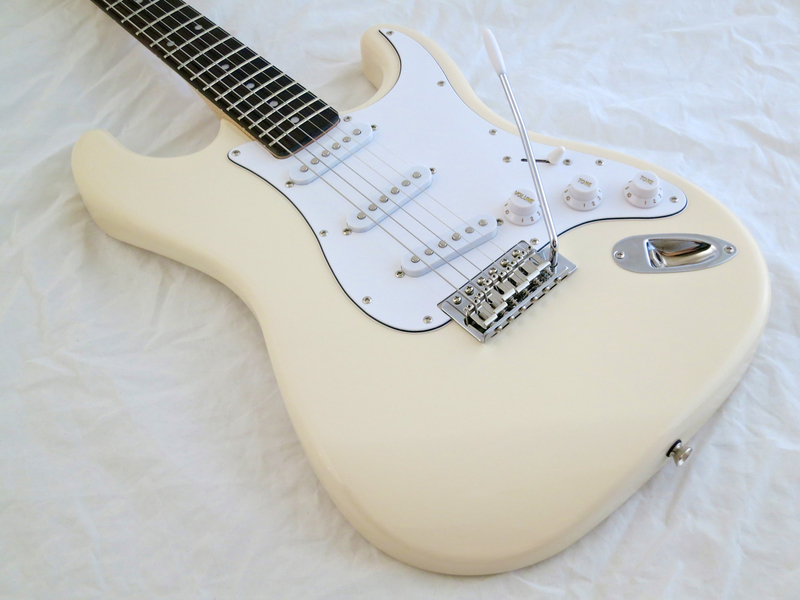 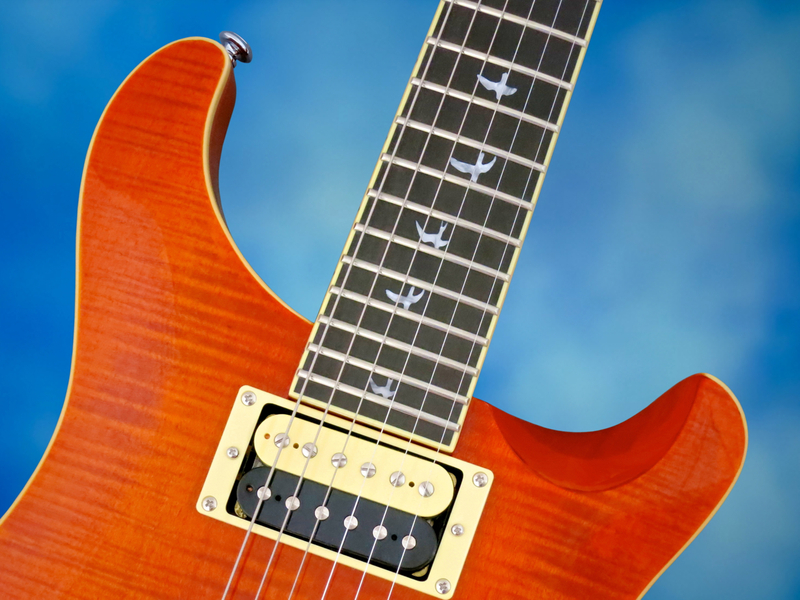 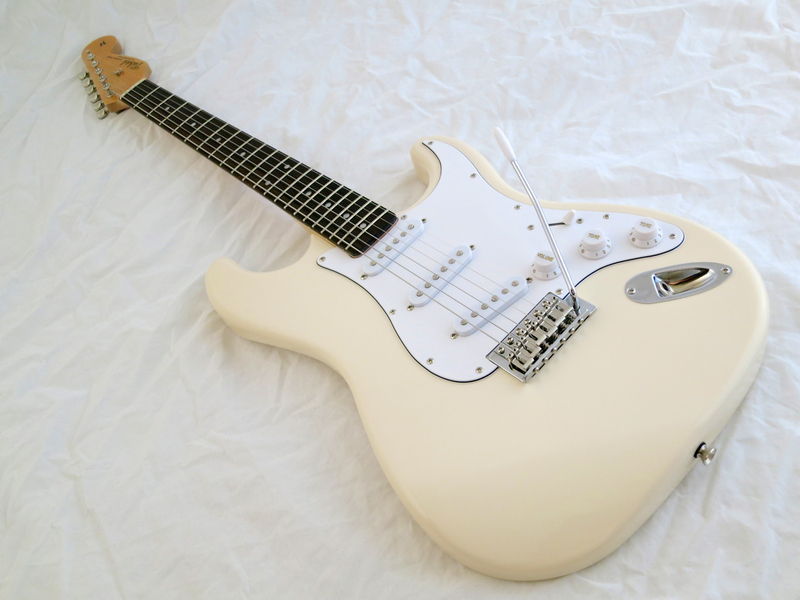 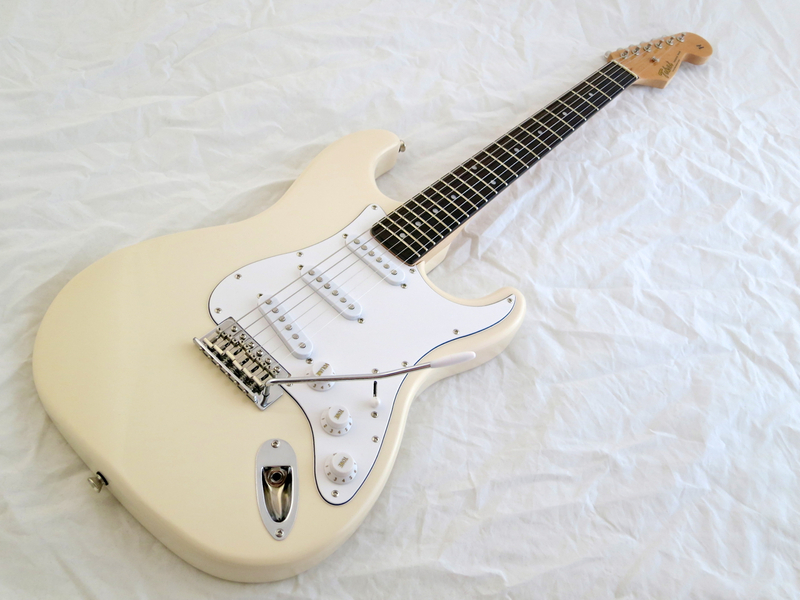 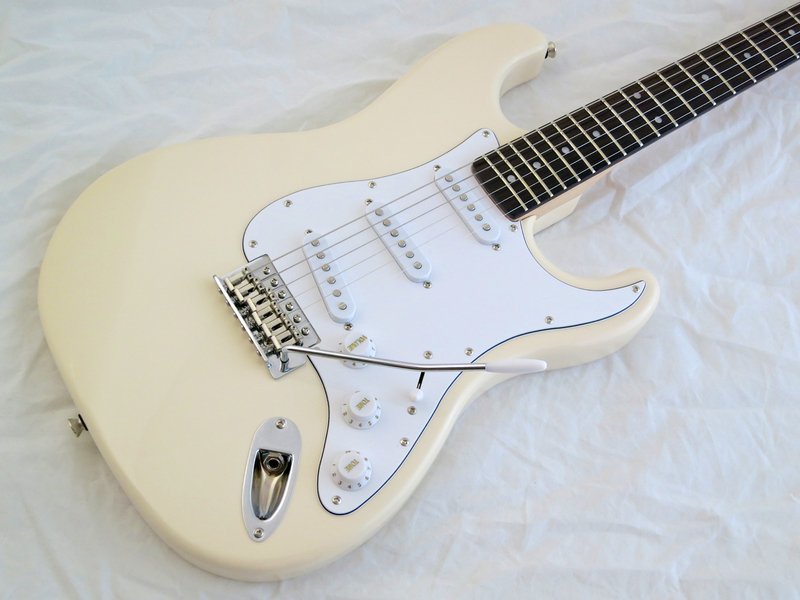 The Seymour Duncan set is higher in output, and the sounds have a fatter mid-range character. 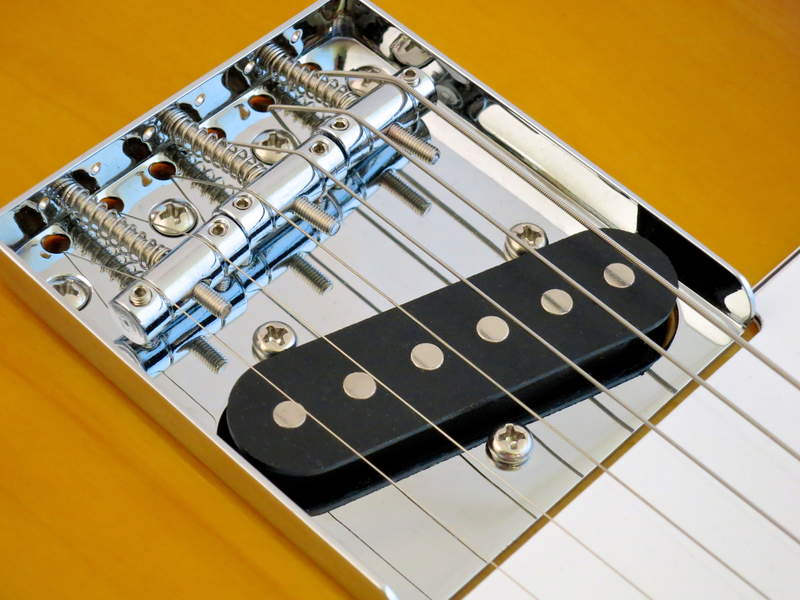 Played into a clean channel, the bridge humbucker can sound a bit honky at times, but using crunchy settings will make the JB model rock even harder than the Ogre bridge humbucker. 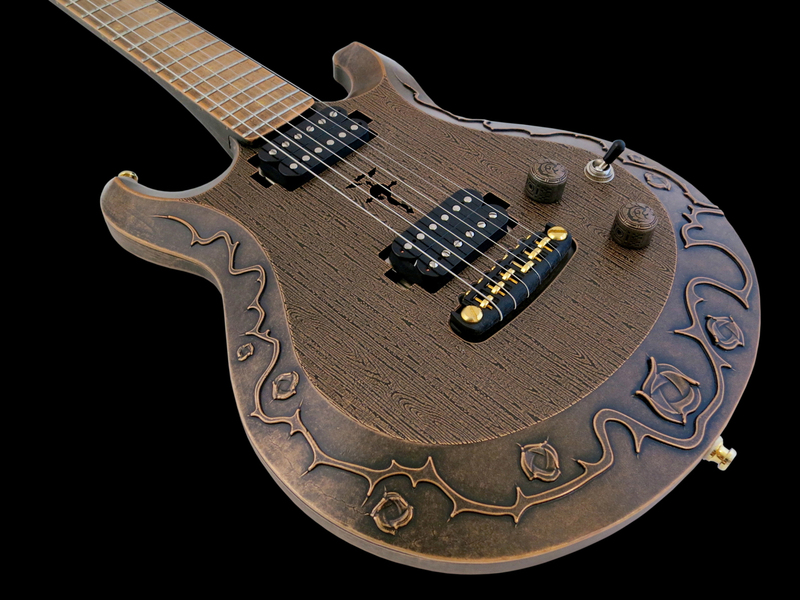 The demo track features the pewter-hued Magnox-M1 exclusively for the first half, while all the guitar tracks in the second half have been played on the bronze Ogre model. 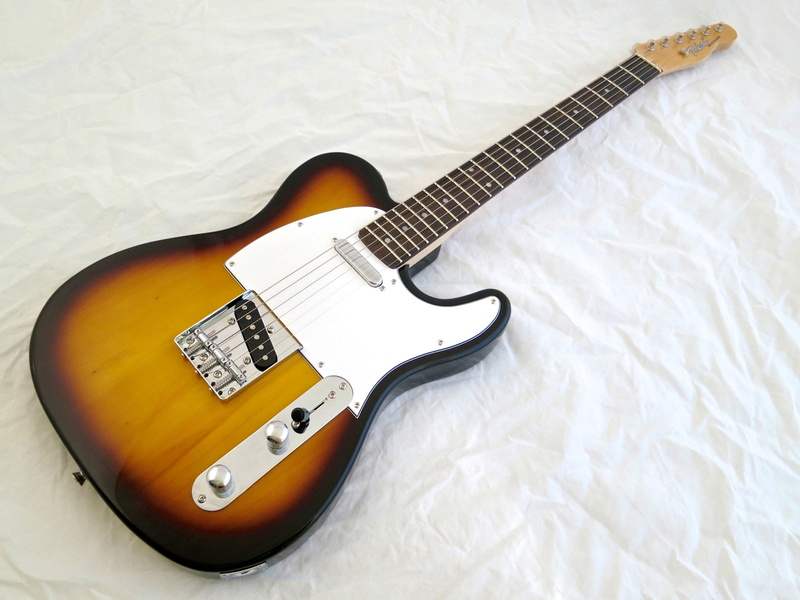 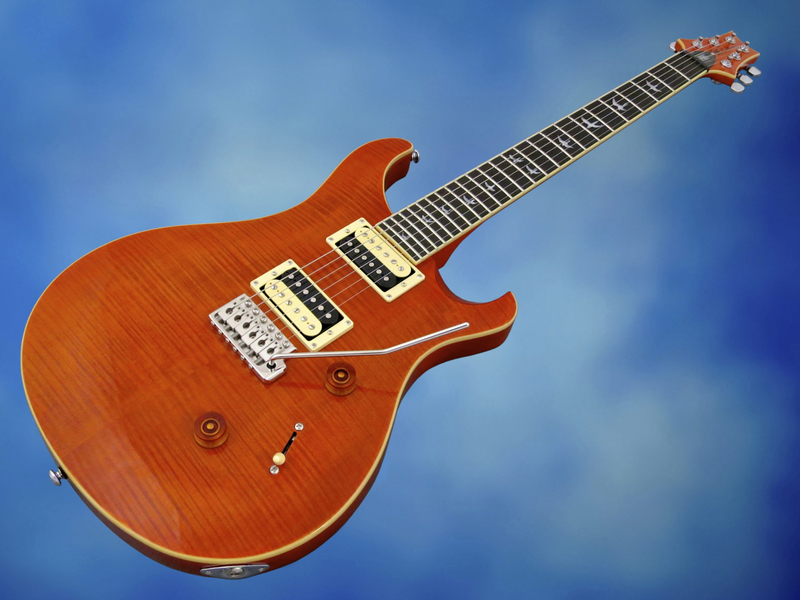 The Ogre Magnox-M1 is a very fine electric guitar, which offers a viable alternative to traditional wooden instruments. 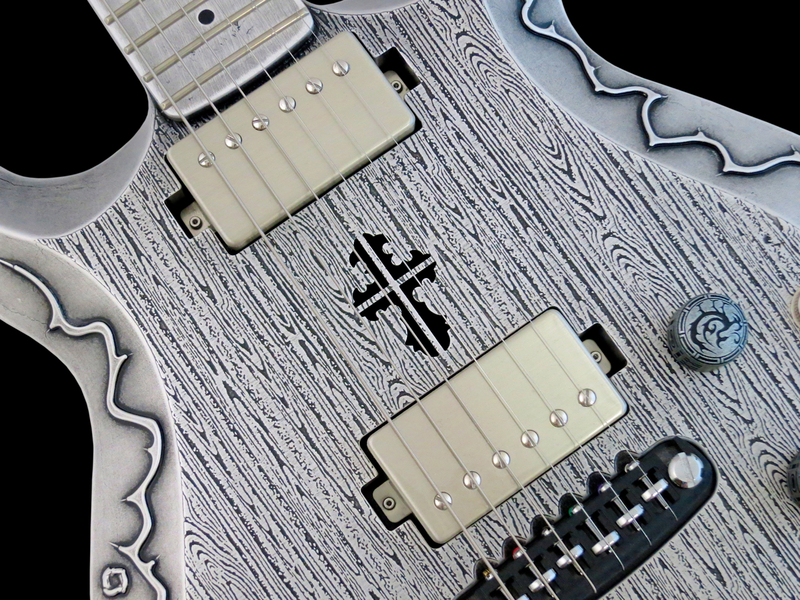 I really like the visual design of these guitars, too, but some might disagree. 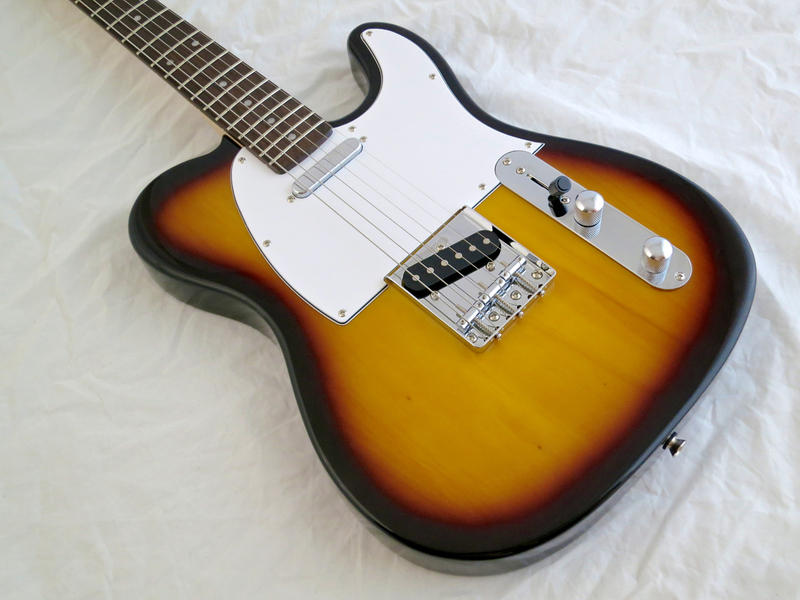 The best thing about the Magnox-M1 guitars, though, is the great sound they make. 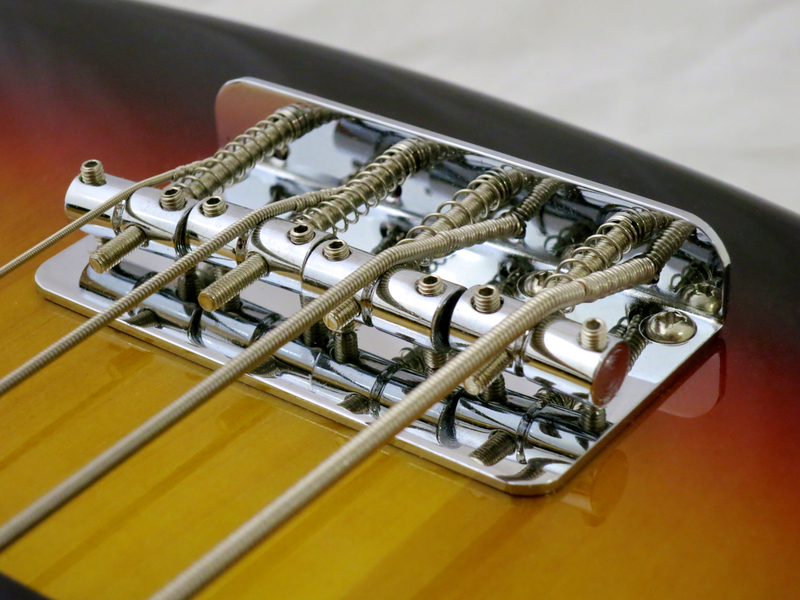 These are very inspiring instruments, indeed!